If you would like to link back to us please drop us a line via the contacts page or click on the button opposite. We only link to relevant sites and maintain those links so long as they are reciprocal. If the link is broken we will delete it. Welcome to the Canine First Responder© Website and “What is a Canine First Responder” or CFR as they have affectionately become known? First Responders whether for human care or animal care are people that are trained exactly the same way advanced medical staff are in primary care and secondary care protocols to attend the scene of and accident, injury or illness and tend to the patient until they can be evacuated to more advanced medical care. M J First Aid Training is the home of the Canine First Responder Course© and Instructor Course© Since it’s Introduction in September 2008 we have travelled far and wide to deliver the course to large groups and organisations as well as individuals which include professionals in the canine field as well as the dog loving public. Welcome to MJ First Aid Training South East Asia bringing the Canine First Responder Course to that region of the world. Please click on the logo to take you through to the regional website and contact for all your training requirements. Travelling to the Midlands to do a Canine related Course with us or one of the many good training providers here? Would you like comfortable homely bed and breakfast then look no further. We can even take your dog too. We service the West Midlands area Including Wednesbury, Walsall, West Bromwich, Wolverhampton and surrounding areas, Dudley and surrounding areas, and Birmingham from B1 to B90. 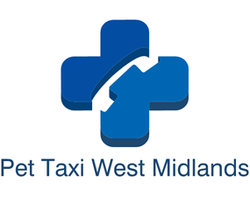 Since January 2nd 2010 we have been offering a pet ambulance and taxi service for the Sandwell, Dudley, Walsall and Wolverhampton areas. 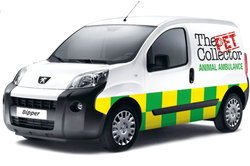 We have been granted DEFRA certification to transport animals by their Animal Health division and are insured to carry out duties as a pet Tax/Ambulance. Medical Scrubs Outlet provides extremely comfortable scrubs to help you through your long work days, all at an affordable price. Canine Rehabilitation was wisely chosen to reflect what we do. We rehabilitate dogs and educate owners. Only kind positive methods are used to rehabilitate dogs and educate owners. Welcome to the Better Canine Health Website. Here you will find information on lots of healthy alternatives and complementary options for your Canine Best Friend. This is an informational site and we are not here to sell you anything or promote any one healthy alternative over another, what we aim to bring you is well researched healthy options to improve the life of your companion animals as well as yours. This has proven a popular media to deliver CPD seminars amongst our veterinary colleagues so we have taken up on their idea to offer the same in training and behaviour for anyone with an interest in furthering their knowledge. 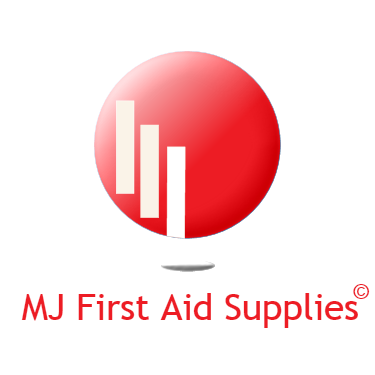 MJ First Aid Training takes pride in the quality of it's Instructor Training Program and also of it's Course Director Training Program. If you have obtained your Course Director rating then you have attained the highest Standard of Training Offered. The Course Director Program is by invitation only to those Instructors that have shown exceptional ability in promoting education in Canine First Aid and CPR. We can carry out safe transport of your pet to any destination in the UK and have full public liability insurance for your peace of mind. In addition we are certified Canine First Responders (first aid trained) for administering emergency first aid. 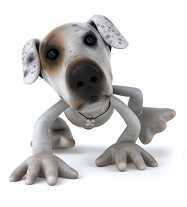 The Pet Collector is not a vet replacement, but can give first aid if required, until we transport your pet to the vet. Michael Hayes is a dog trainer and behaviourist covering Lincolnshire, Nottinghamshire and Leicestershire Areas and can also offer the CFR Course, Clicker Workshop and Understanding Dogs Better Workshop. Click on the link to go through to his website. 4 Paws Training is about training you to understand your dog so you can train your dog to understand you.By doing so your relationship will improve and your bond will be a lot stronger. My 'one of a kind' (OOAK) teddy bears are mostly made from the same beautiful German Schulte mohair and alpaca that Steiff use. I also use the luxurious and soft Helmbold Mohair, some South African mohairs and plush faux fur. All my teddy bears have English glass eyes and are fully 5 way jointed using cotter pin joints. I use a combination of machine and hand stitching to individually create my OOAK bears and each is unique and not repeated...ever. Websites for the pet industry was created out of a demand for quality websites for professionals within the industry such as groomers, dog walkers, home boarders, kennels, pet sitters, trainers and behaviourists, rescue shelters and animal charities to name but a few and this is what we specialise in. Brand Identity is a large part of your commercial presence whether that is reflected in your stationary, advertising, marketing, handouts and flyers or on your website design. Here at Professional Logo Design Service we want to help you establish that brand identity to make your products and services easily recognisable as yours whether upgrading to a new logo or starting from scratch. The term "Pariah" is often used in the derogatory sense but when we use the term associated with dogs then it has a special meaning “Natural Dogs.” A Pariah dog or street dog as they are sometimes known are dogs that have had no input from human kind in their breeding and their DNA is probably some of the purest and most genetically diversified than any dog breed on the planet. Bona-Fido offers outstanding personalised pet care services especially for owners who, for whatever reason, are unable to attend to their dog’s needs. Whether you’re at work, out for the day, going on holiday, or simply want to spoil your pooch, our aim is to provide your pet with as much love and care as they'd expect to get when you're at home. The trials and tribulations of Touring on a Mountain Bike. Shared experiences from the author to help others avoid the pit falls and mistakes for a more enjoyable experience with their bike.